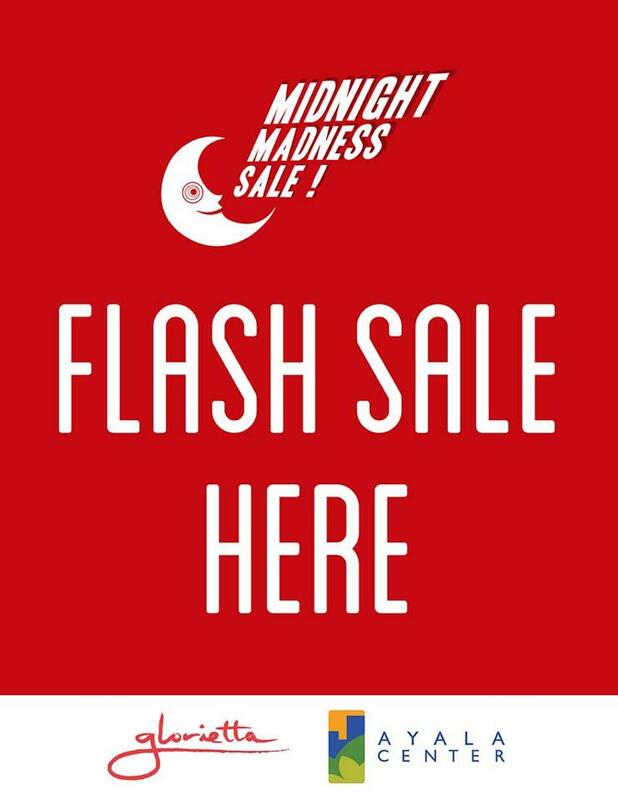 Don't miss the Glorietta Midnight Madness Sale! Up to 70% off! - Hits and Mrs.
Don’t miss the Glorietta Midnight Madness Sale! Up to 70% off! Haven’t started your Christmas shopping yet? Same here, haha! So hearing about Glorietta Midnight Madness Sale is such sweet music to my ears. Imagine having to buy great gifts without having to leave the Makati area (for me at least, since I work here) and getting great deals of up to 70% discount on various items! Look for this Flash Sale poster in select Glorietta stores and get additional 20% off on items! Share this wonderful news to everyone! Follow @iloveglorietta on Instagram and use the hashtags #glorietta #iloveglorietta #MakeChristmasMoreMeaningful #FlashSale #GloriettaFlashSale. You can also visit them on Facebook.